Home / News / NTR's support to Mega Hero? NTR's support to Mega Hero? 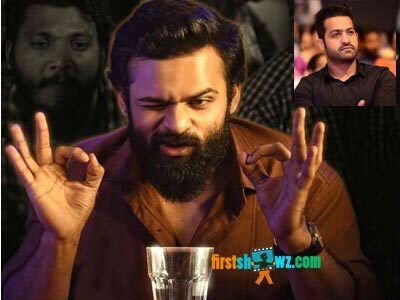 Sai Dharam Tej's Chitralahari is gearing up for a release soon, and the promotional activities are in full swing. The makers are in plans to hold a pre-release event in Hyderabad, and here comes NTR's support to Mega Hero. Yes, if the latest buzz from film circles is to be believed, NTR will be attending Chitralahari pre-release event as chief guest. Tarak's presence at the event will certainly add some boost to the movie's promotion. Sai Dharam Tej is pairing up with Kalyani Priyadarshan and Nivetha Pethuraj while Kishore Tirumala is wielding the megaphone for the movie. Chitralahari is bankrolled by Mythri Movie Makers, and since the popular production house has good association with NTR who teamed up for Janatha Garage, the actor has stepped into promote the project. Devi Sri Prasad composed tunes for the film.